Beautiful. Simple. Functional. 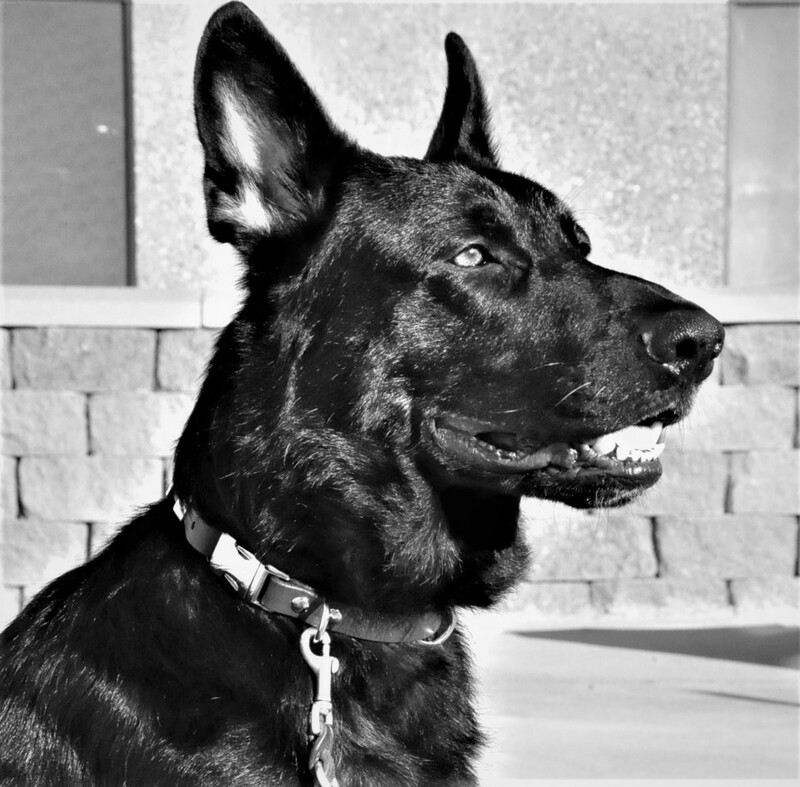 This wide PVC collar is crafted without stitching or rivets for long-lasting quality–made for big dogs. Features an aluminum side release buckle and is adjustable for a perfect fit. Strong as a Brahma bull, this man-made leather alternative is great for your adventurous pal. It can take a beating through brush, muck, and saltwater. It is flexible has a nice weight and feel that resembles leather. 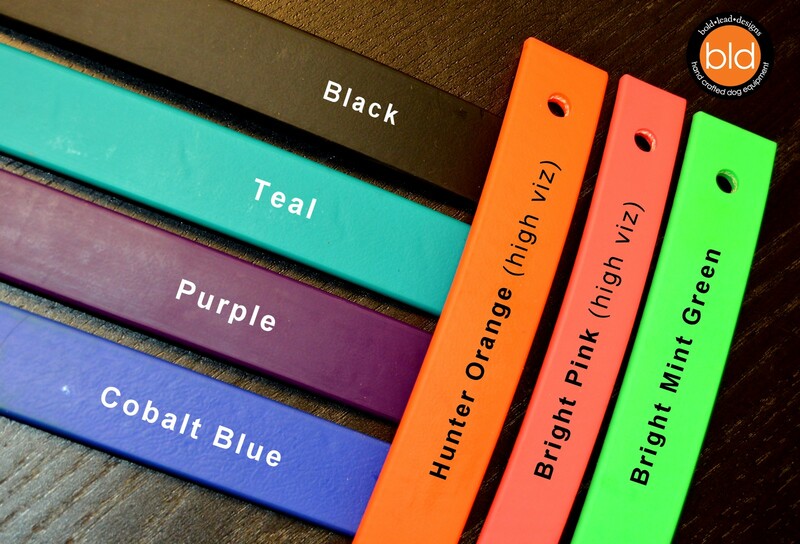 It won’t absorb dirt & moisture like rope, nylon or fabric. Brahma material is so reliable, it comes with our unmatched Lifetime Warranty. 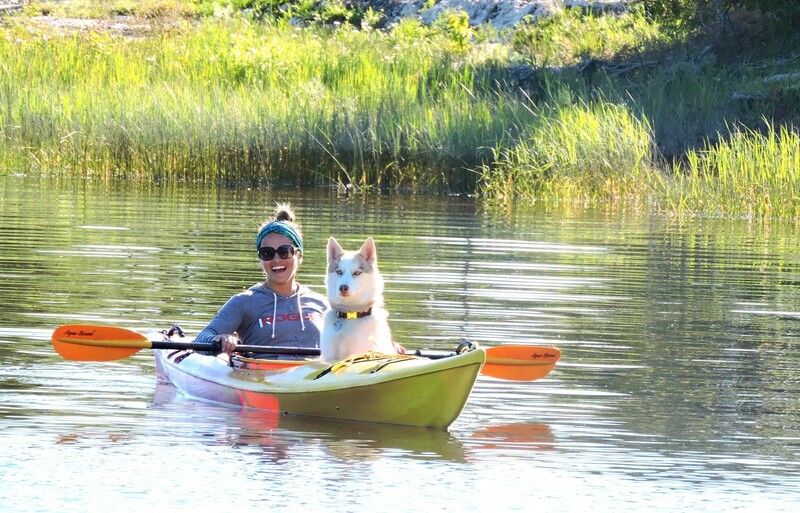 Our sturdy material and hardware is recommended for dogs over 30 pounds. Artisan handcrafted in Colorado, USA! See below for measuring and sizing. 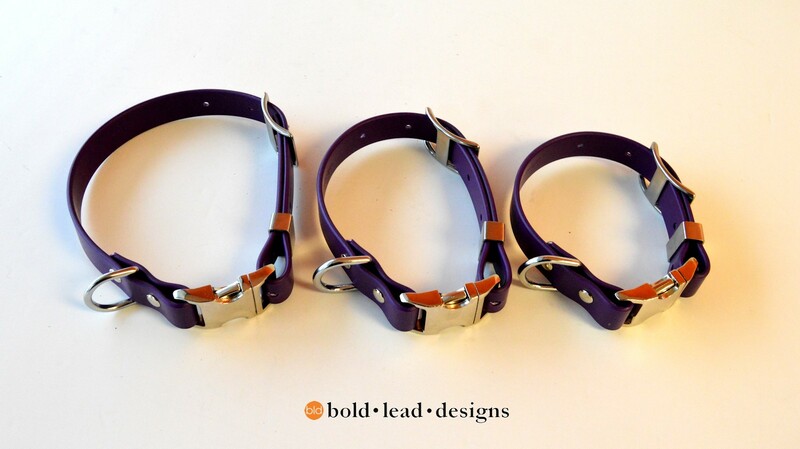 A Bold Lead Designs exclusive is the ONLY quick release, adjustable, leather-alternative dog collar you’ll find anywhere–made for large dogs. 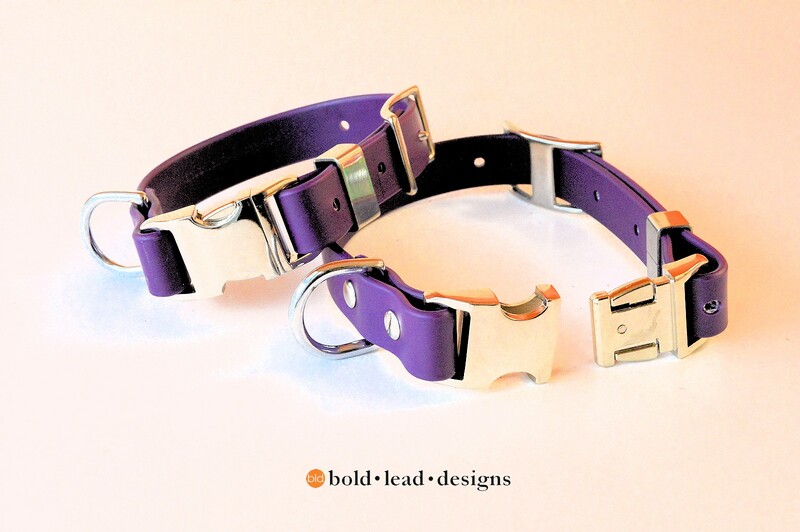 This wide PVC collar is crafted without stitching or rivets for long-lasting quality. The aluminum side release buckle is superior to the cheap plastic buckles you may have seen and is super easy to operate, even for those with limited dexterity. 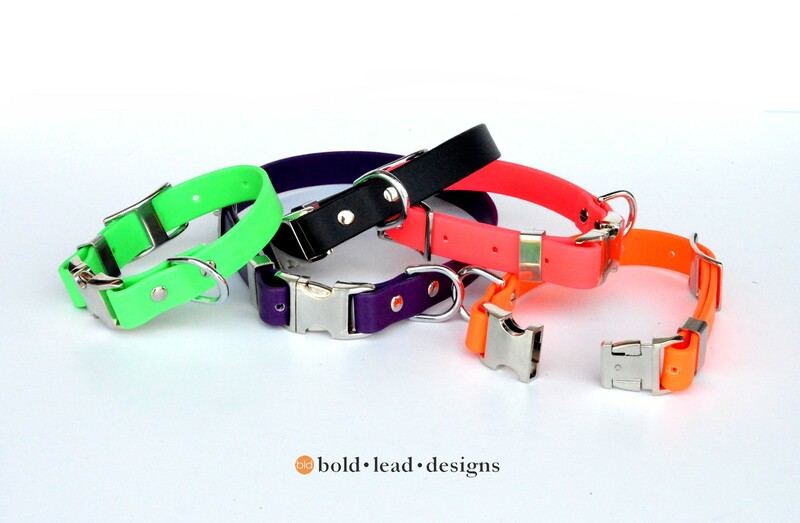 Special adjustment buckle is smooth on the inside and won’t irritate your dog. Material and hardware is rather heavy; this collar is best for large dogs. Brahma Soft-Grip material is constructed with webbing on the inside and a durable, non-tacky PVC coating on the outside. This durable material is great for any extreme weather condition, resilient in cold weather, and is resistant to abrasions and stink. Easy to clean: Just wipe clean with soap and water. You may add a loose o-ring to your collar if you’d like. 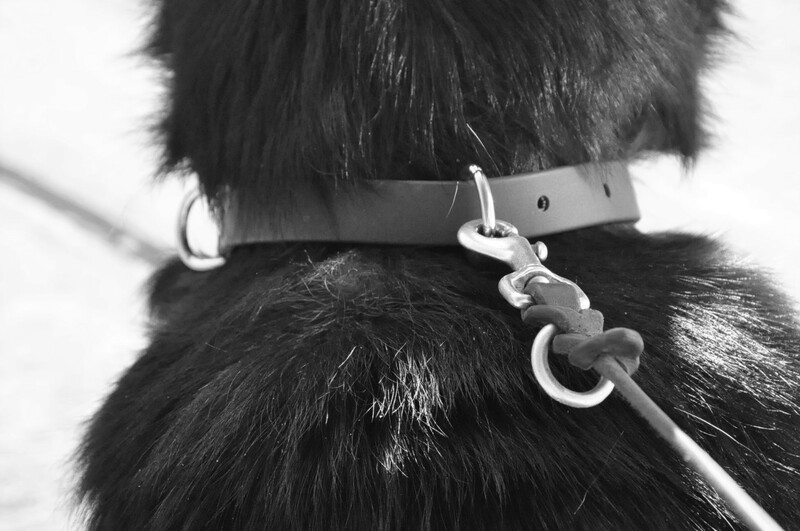 The ring will be loose along the length of the collar, perfect for attaching the leash. 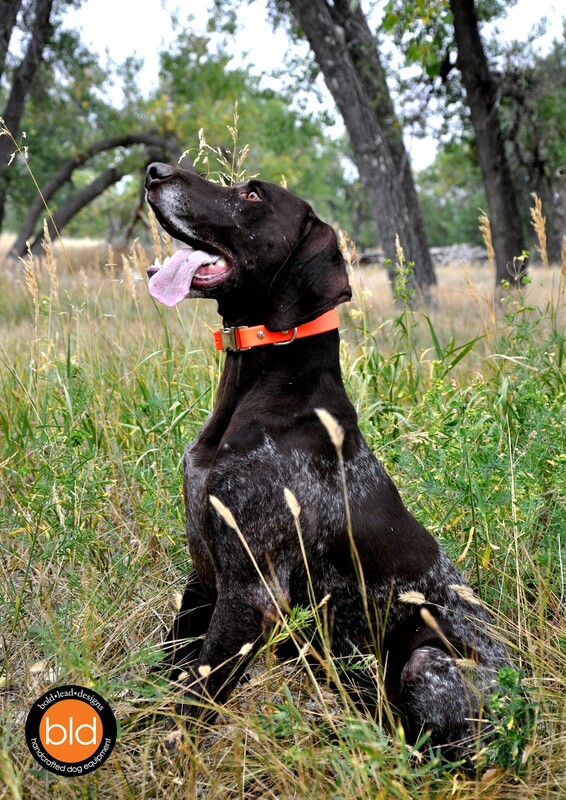 Brahma Collars come standard with silver colored hardware–looks great on all colors. Buckle is nickel plated aluminum. D-ring, keeper, and adjustment Conway are stainless steel. Brass (gold color) available upon request for an additional custom fee. NOTE: In some instances brass may tarnish and rub off on light colored / white dogs. I purchased the collar and a Brahma lead as well. Both items are heavy and pretty inflexible. The lead was so heavy that I had to return it since it would not have worked well for hiking longer treks. I kept the collar thinking I’d give it a try since I liked the waterproof aspect of it and the color was very pretty. Unfortunately, the materials is highly inflexible and even after giving the collar constant wear there remains a “loop” at the end created by adjusting the sizing for fit. This “loop” hasn’t flattened out at all and has gotten caught a few times on brush. I don’t recommend this product at all and unfortunately since we’ve used the collar I don’t know if it can be returned. The other thing that potential buyers should be aware of, is that NO shipping costs are covered either for returns or even exchanges so the products potentially end up costing a lot more than they are actually worth and they are already pretty expensive. The only reason I gave it even one star is so anyone wanting to read reviews can find it. 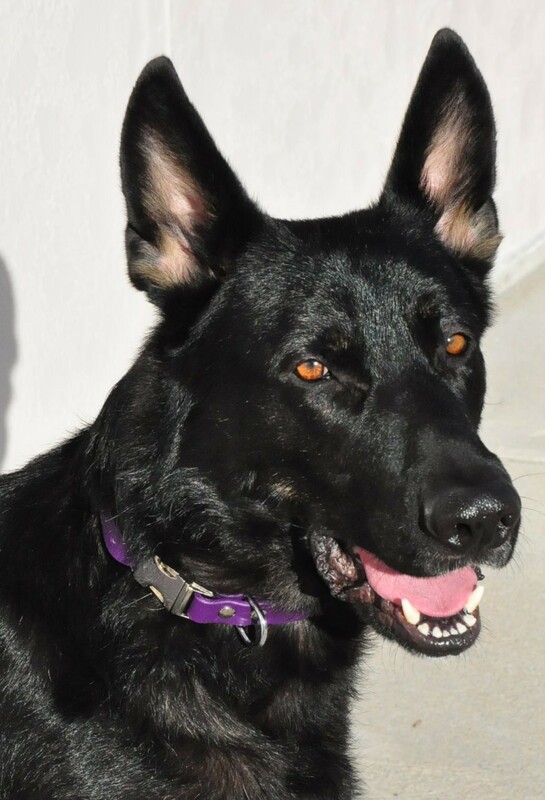 I do wish there was an option for the thinner material from the leashes to make a collar out of as a lightweight at home collar. This may be me making an excuse to buy another collar, though.